A common mistake made by young entrepreneurs and small businesses is failing to fully grasp the concept of branding. Some believe this simply refers to a company’s logo. While a logo is an important part of a brand, it is not the only part companies need to consider. In 2011, I attended a branding professional development event put on by Madison Magnet. In the discussion, the speakers described the essence of what a brand encompasses, which involves much more than just a logo. Many components taken together can comprise a company’s brand, including: name, logo, tagline, graphics, shapes, colors, sounds, scents and even tastes. An organization’s brand is also a representation of its values and mission. 1. Apple’s brand includes its reputation for creating products that feature simple, elegant design. An article in Wired Magazine (12.04.02), Leander Kahney wrote about Mark Gobe of Emotional Branding LLC, talked about how about Apple how created a community of customers to stand behind Apple’s mission to create products and technology centering around, design, imagination, and innovation. It’s mission, through use of the iPhone and iPad, has changed the way we communicate and has enriched our lives. 2. Kentucky Fried Chicken is another example. Trademarking its recipe of 11 herbs and spices for its fried chicken. It’s their unique flavor not offered anywhere else that keeps customers coming back for more. 3. At the end of 2012, Toyota introduced the tagline “Let’s Go Places”. The company worked with Saatchi & Saatchi, 360i, Conill, Burrell, Intertrend and Grieco Research to create the slogan, not only conveying going places and taking off on an adventure, but also expressing optimism and innovation of it’s product. We are recently faced with having to maintain our brand. We decided to redesign the IH Concepts website. A key consideration was to hire a web developer. We had plenty of options, including hiring someone from out of state, outsourcing the project overseas or working with someone locally. Being members of Dane Buy Local and believing in working with local businesses and supporting the local economy, we needed to stay true to our brand, so we opted to hire a web developer who was studying at Madison College. The result was a great website that maintained the integrity of our business. Making such a decision is important for a company to maintain a brand’s consistency. Behaving in a consistent manner allows customers to know what to expect. This comfort level fosters brand loyalty, contributing to the success of a company. If you surprise your customers with something that is unexpected and contrary to what you stand for, they might check out the competition. I recently had a conversation with a contact of mine and he asked me what I wanted my company to be known for. I explained to her that I not only want my company to be known for it’s great graphic designs, I also want the company to be known for doing right by others, building relationships, and putting those who deserve to be recognized in the spotlight. Treating the designers, employees, and interns who report to me with respect and appreciation is very important to me. These people are not only unsung heroes who have unique contributions that have helped the company over the years, but an example of our brand and how I want people to view IH Concepts when it come to treating our clients. 1. What is your company’s mission? 2. What are the benefits and feature of your products or services? 3. What do your customers and prospects already think of your company? 4. What qualities do you want them to associate with your company? Accomplishing this takes, doing research; learning the needs, habits, and desires of your prospective customers; and knowing what they think. A brand tells a company’s story, making it a powerful tool. 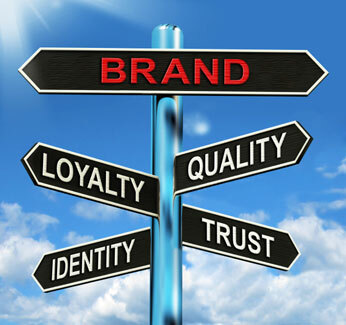 By taking the time to establish your brand, you’ll reap the benefits of a loyal, informed customer base. This blog updates August 21. Stay tuned!